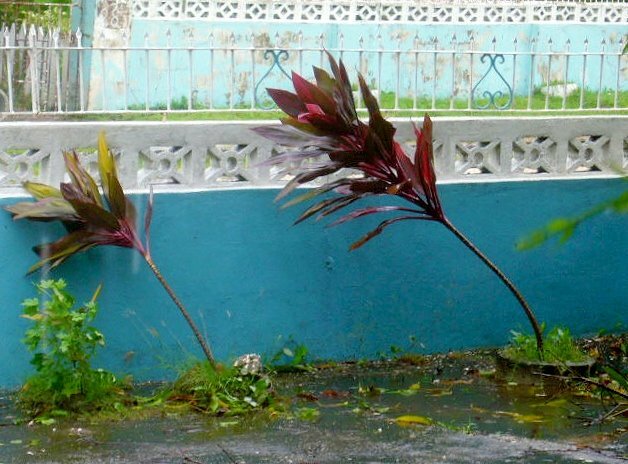 Hurricane Sandy passed by the southern and east coast of Jamaica on Wednesday. Thankfully the damage was not worse than we all feared. Sandy crept up on us like one those hidden trojan viruses. Normally, hurricanes heading to Jamaica develop first further east in the Atlantic and gather momentum as it heads westwards across the Caribbean finishing off on mainland USA. These hurricane build ups from the Atlantic to Jamaica can take as much as 2 weeks before hitting the island; means lots of preparation time. But Hurricane Sandy decided to develop first as a storm to the south of Jamaica late last week and therefore we were the first island in Sandy’s path. Initial thoughts by our weather forecasters at the weekend indicated a storm but nothing of hurricane proportions. But by Monday afternoon the message and mood had changed and Jamaicans piled into to shops for last minute groceries and basic essentials– especially corned beef & tin mackerel! On Tuesday I walked around the neighbourhood and contacted friends and family across the island to check if all were prepared. 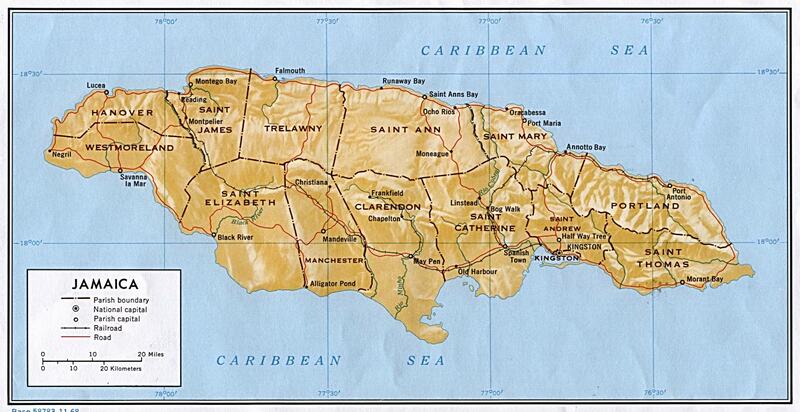 The eye of Sandy’s storm was due to hit the south central and south eastern coast of Jamaica by 2pm the next day. So the island waited. 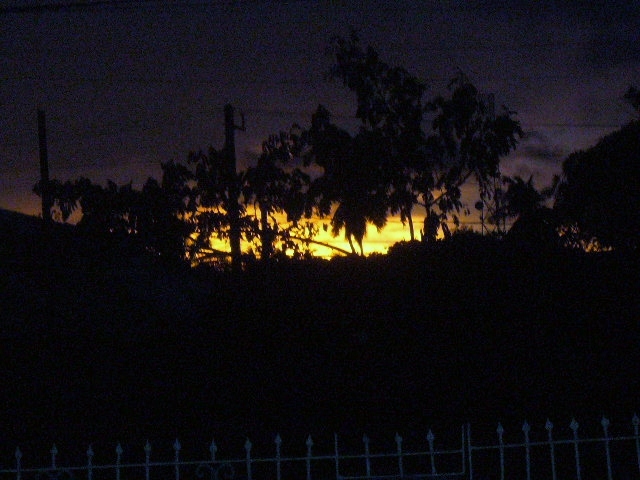 Like many other Jamaicans I sat on my verandah and waited with curiosity. Given this would be my first hurricane in Jamaica for 30 years I wanted to view the hurricane head on; so to speak. Then Sandy arrived on land just before 2pm. By then electricity around our town (OldHarbour) had gone, so too had running water. Sandy’s wind speed had picked up and in Old Harbour we did not receive the torrential rain as I expected but Sandy’s wind factor was lashing the trees and plants outside. My apple tree took a big hit, the breadfruit tree also had some minor damage but many of the full breadfruits that were on tree had fallen off. Thankfully most were ready for roasting and we gave some to friends and family yesterday. 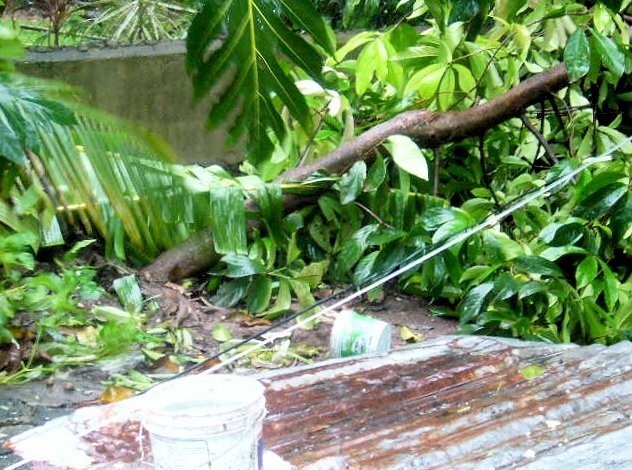 By 6pm on Wednesday, Sandy had headed north of Old Harbour and inflicted even more damage to the parishes of St Mary, St Thomas and Portland where the effects was more destructive. Rural St Andrew was also severely affected. The farming community in those parishes had lost most of their banana crops. According to local media, many homes were destroyed by fallen trees, bridges were blocked, landslides and fallen light posts also harmed access areas for residents and the emergency services. By the close of Wednesday 70 % of the population had no electricity. Even more Jamaicans had no water. Many of those Jamaicans in western Jamaican missed Sandy’s ferocity and queried on the radio talk shows “what hurricane?”. 3 days on some parts of Jamaica are still without electricity. This entry was posted in jamaica, jamaican and tagged hurricane sandy. Bookmark the permalink.